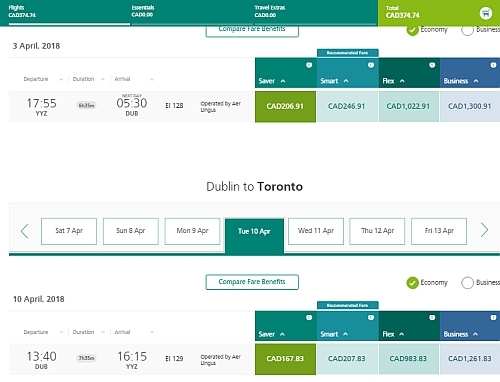 Aer Lingus has dropped the price of their flights from Toronto to Dublin, Ireland down to between $374 CAD (carry-on only) and $453 CAD roundtrip (checked bag). - look for the dates that are between $415 and $586 roundtrip. 3. On Skyscanner, it should show up as $375. - click through from Skyscanner to the Aer Lingus website. 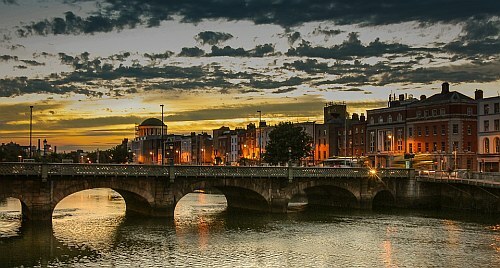 toronto, yyz, flight deals, europe, northern europe, western europe, dublin, ireland, dub and aer lingus.